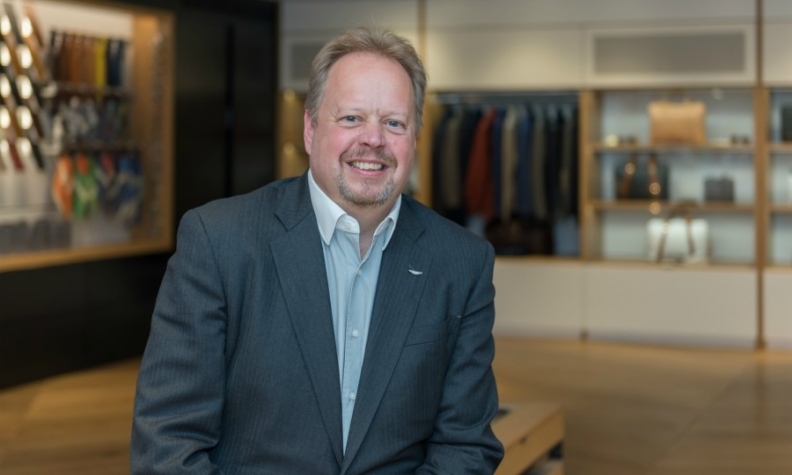 Aston Martin CEO Andy Palmer says the supercar maker can be very profitable making 7,000 to 14,000 cars a year "but only by having a big brother." Aston Martin is looking for a "big brother" partner in order to survive as a low-volume, luxury automaker, even after it posted its first profit in eight years and prepares for a potential initial public offering. The manufacturer famous for making film spy James Bond's favorite car could use a combination of capital raised from an IPO and a tie-up with a bigger player to ensure it stays on top of the autonomous driving curve that's pushing automakers to invest billions in the technology, Andy Palmer said. "We are making a new kind of a company, a company that can survive on 7,000 to 14,000 very highly priced, very profitable cars a year, but it can survive because of its partnerships," Palmer said. "It can be very profitable on that 7,000 to 14,000 cars a year but only by having a big brother that can help it out." The company said Monday that pretax profit swung to 87 million pounds ($121 million) last year from a loss of 163 million pounds in 2016. The profit was the first since 2010, according to a spokesman, spurred by sales of its latest supercar, the DB11. The results help cement Palmer's turnaround of the iconic brand, while sales of its newest models will give the company a boost ahead of any sale of shares. Bloomberg reported last month that the automaker is eyeing a valuation of as much as 5 billion pounds in an IPO. Mercedes-Benz owner Daimler already owns a 5 percent stake in Aston Martin and the two companies have a partnership to develop driverless capabilities, Palmer said. He needs more industrial backing to stay ahead in the technology, he said, without being specific. Other niche luxury players are already allied with bigger backers. Lamborghini is owned by Volkswagen Group, and Ferrari shares ownership with Fiat Chrysler Automobiles. Li Shufu, who on Friday acquired a 9.7 percent stake in Daimler, owns UK sports-car maker Lotus through the company he founded, Zhejiang Geely Holding Group. Aston Martin is forecasting another gain in earnings this year, which could raise its projected valuation, as it moves toward the introduction of a new model in the lucrative SUV segment as well as a new electric car both due in 2019. The company is also planning another three new models, including two luxury sedans, designed to revive the Lagonda brand. Sales in 2017 surged nearly 50 percent with deliveries rising above 5,000 for the first time since 2008. Adjusted earnings before interest, taxes, depreciation and amortization came in 15 percent ahead of the company's own forecast at 207 million pounds.